Implementing Video Remote Interpreting (VRI) Services - Niki's Int'l Ltd.
Video remote interpreting (VRI) is a modern, technologically advanced take on providing interpretation services for limited English proficient (LEP) or deaf individuals. 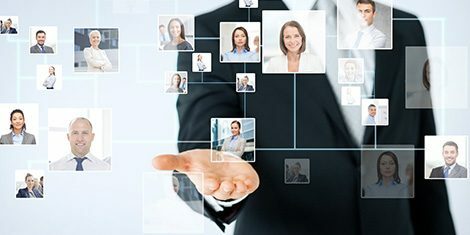 VRI is a remote interpretation service that uses telecommunication software to connect individuals with an interpreter via the internet. It facilitates effective communication without the physical presence of an on-site interpreter. This user friendly and cost effective language solution is being implemented in hospitals, healthcare facilities, mental health offices, educational environments, courtrooms, and in business settings to bridge language gaps. It minimizes confusion and aids in avoiding miscommunications that can occur when language barriers are present. VRI is accessible through an online platform which makes it easy to connect with an interpreter regardless of your location or the time zone you’re located in. Once the decision has been made to invest in VRI it’s important to envision how you would like the service to be used in your place of business. Will it be an independent computer station, a portable cart or will you be using VRI via your mobile device. Choosing the most appropriate set up for your specific needs will determine the method of installation and ultimately aid in accommodating your day-to-day operations. In order to implement VRI into your workplace you will need either a computer, tablet or smartphone, with a camera, speakers, microphone and a stable internet connection. Niki’s Int’l Ltd. is a language service company (LSC) with over 20 years of experience in the language service industry, when using their VRI services you simply proceed to the website, click on the VRI portal under the login tab in the top right corner, choose the language you need and within minutes you will be connected to an interpreter that best fits your needs. VRI can be pre scheduled or used as an on-demand service that will deliver high quality, high definition video and audio during your interpretation session. Niki’s Int’l Ltd. offers over 350 language and dialect options, so you’re sure to find the language you need. If you’re accessing an interpreter via a smartphone or tablet you can simply download a free application that allows you to seamlessly connect to a professional interpreter through your mobile device. The online VRI portal through the Niki’s Int’l Ltd. website is secure and means when you are connected during an interpretation session, it is safe to transmit private or confidential information back and forth. VRI carts are the best method of use in the healthcare industry. It’s basically a tablet connected to an adjustable rolling stand that provides effortless movement and mobility to maximize the effectiveness of your interpretation session. The tablet is safely secured to the cart which allows you to easily roll it to any location for hands free interpreting and excellent portability. This method of implementation really aids medical staff in emergency room scenarios. It’s also a great solution for hospitals or healthcare facilities that provide care to large LEP populations. VRI capitalizes on modern technology and allows remote interpretation services to be provided quickly and efficiently for the LEP and deaf individuals who rely on language services. Gaining access to VRI is easily done by partnering with a reputable language service company. Niki’s Int’l Ltd. is dedicated to providing a secure high resolution video and audio connection, it will feel as if the interpreter is in the room with you. Video remote interpreting blends the convenient remote features of over-the-phone (OPI) interpretation with the precision and effectiveness of on-site interpretation. The professionals at Niki’s Int’l Ltd. will assess your language needs and gather information to help you in setting up your VRI account. Once a partnership has been made and the technology is implemented, VRI can successfully be integrated into your organization, business or facility. When using VRI everyone has access to experienced and professional interpreters regardless of location, time zone or uncontrollable circumstances.